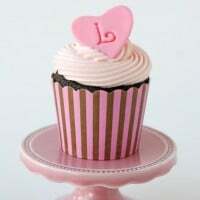 I love pretty cupcake liners! Whenever I post cupcakes in pretty colored liners like I did for my Vanilla Cupcakes or my daughter’s Ladybug Birthday I get lots of questions about where I buy my liners. Most of the questions have to do with why the liners I use keep their color so well, and yet most of the liners you may try lose their color/pattern when you bake in them. There is no “secret technique” that I’m using, just better liners. 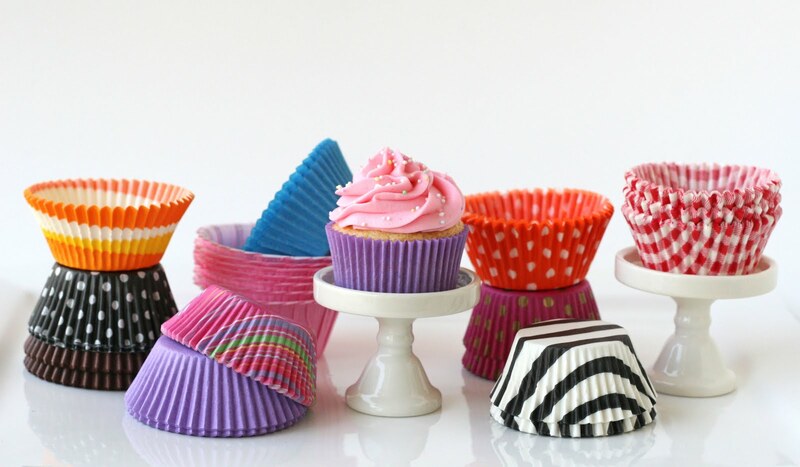 Most cute printed liners found in craft stores lose their color/pattern when they are baked in. The colored liners I (most often) use are labeled either “greaseproof” or “glassine“. Those are the terms you want to look for if you want to bake in colored liners, and have them keep (most of) their color. 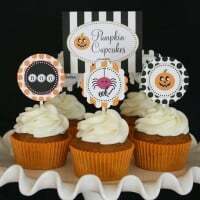 Vanilla cupcakes, or light colored batters will keep the liners the most vibrant, but good quality liners should keep most of their color even with chocolate batter. 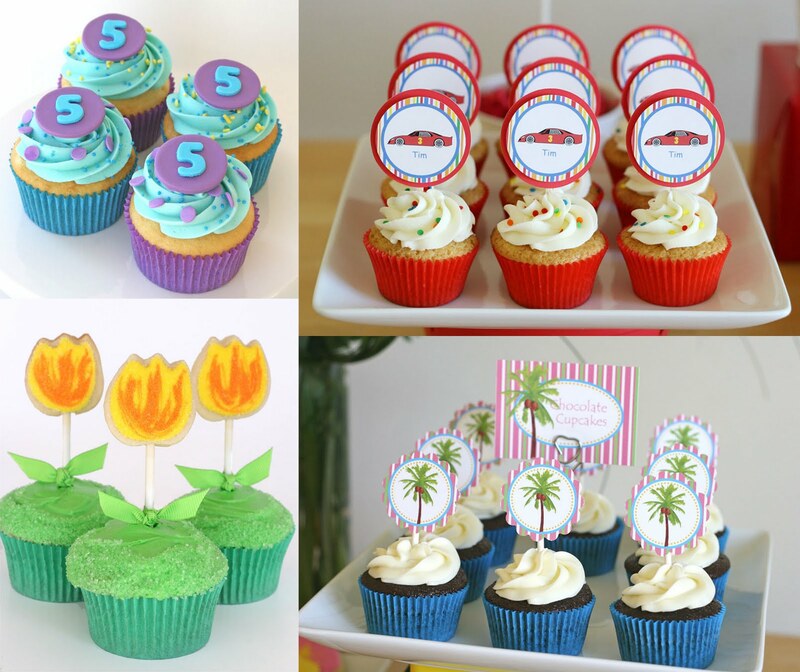 Another option if you want to use up colored liners you have (that are not greaseproof), is to bake the cupcakes in white liners, then set the cupcakes (with the white liners) in the colored/patterned liners before serving. 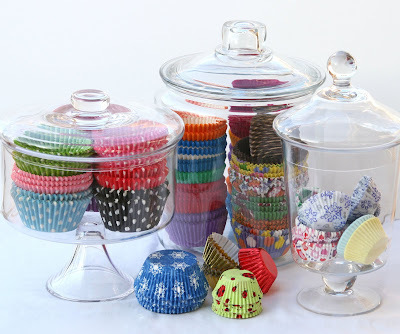 These are a few of my favorite sources for beautiful cupcake liners (again, look for “greaseproof” or “glassine” if you want them to hold their color). I like to store some of my pretty liners in glass jars, for easy access and a colorful display. 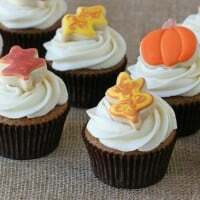 why do cupcake liners pull away from cupcake?